Don’t want to be stuck in front of a TV February 3rd? Come sip wine and learn how to fold paper into delicate shapes. 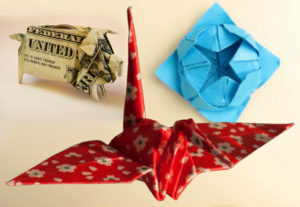 This class will teach you how to fold a cabbage rose, a classic crane, and a dollar bill piggy bank. 2019 is the Year of the Pig!